It is possible to contact the Grand Hotel Tiziano reception desk by phone, fax or CHECK AVAILABILITY. 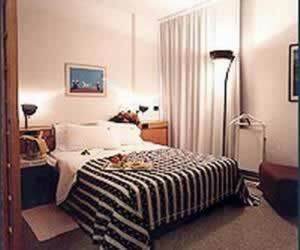 At the Grand Hotel Tiziano each one of its 273 rooms is equipped with conditioned air, telephone, mini bar, colour TV, WI-FI Wireless thecnology, radio and hair dryer. Ample external spaces are a green frame to the swimming pool of the Grand Hotel Tiziano, provided with all comforts and a cafe and restaurant service for a healthy and relaxing stay. The "Michelangelo'' restaurant (open no stop from 12.00 am to 12.00 pm) offers a pleasant tasting of national and local dishes. 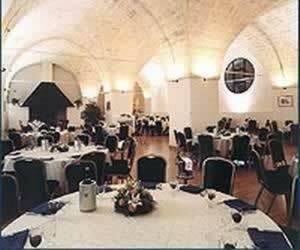 There are also Banquet halls from 150 to 850 seats, a Breakfast hall (Intercontinental buffet) for 25O people, an inviting American cafe and a Roof Garden with a beautiful view over Lecce. For keens on physical fitness there will be a new Fitness Centre, with an equipped gym, sauna and Jacuzzi. 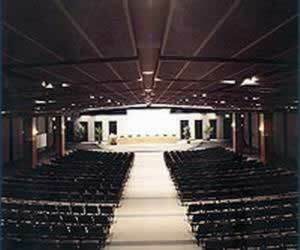 Last but not least, our congress services, exclusive in town, provide a vast choice from the main Congress Hall with 800 seats to other 13 Meeting Halls with a capacity from 10 to 450 seats. Lecce, "Florence of South", will make You discover all the fervour and vitality of a flourishing town, wammly smiling to foreign guests and offering all comforts in an up-to-date area. 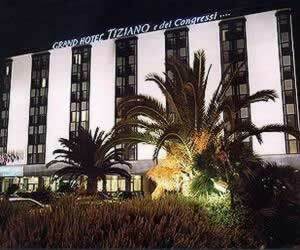 The success of congresses and meetings, organised at the Grand Hotel Tiziano, confirm it. 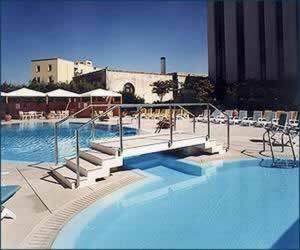 Grand Hotel Tiziano is located near the exit of the Bari - Brindisi motorway by the historic town walls and in the preimeses of Lecce city center. You can easily reach it from the Freeway Brindisi-Bari. Brindisi airport (trasnfer service is organised on request). Travellers who viewed Grand Hotel Tiziano also browsed.